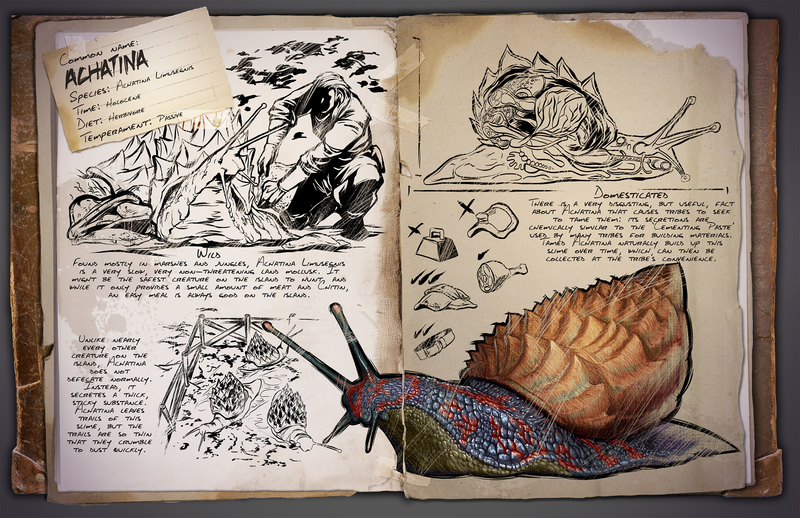 Today’s new Dossier shows the Achatina, a pre-historic snail. It will continually release cementing paste when tamed, though it won’t be rideable. 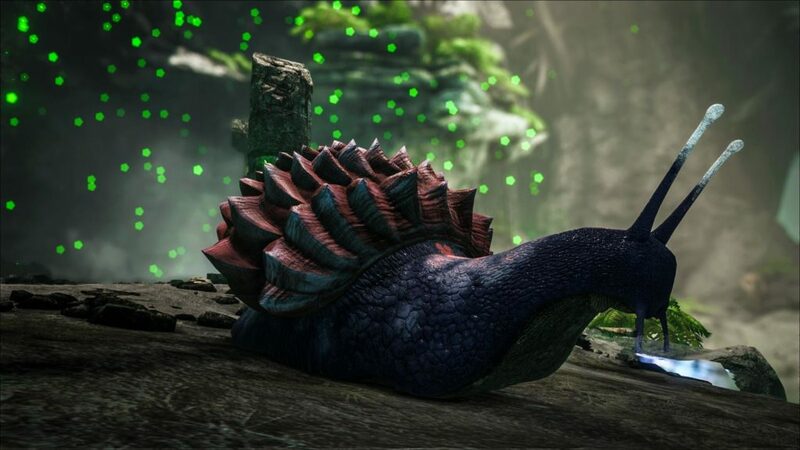 Those survivors who prefer a more rustic experience will also have a chance to experience a true Bear Grylls moment, when they’re hungry enough to go hunting snails for what little meat they offer. Domesticated: There is a very disgusting, but useful, fact about Achatina that causes tribes to seek to tame them: its secretions are chemically similar to the 'Cementing Paste' used by many tribes for building materials. Tamed Achatina naturally build up this slime over time, which can then be collected at the tribe's convenience.